Home→Gotta fertilize that already-harvested wheat! But why? Gotta fertilize that already-harvested wheat! But why? Waterland/New Flevo/Briskey liquid manure application on wheat stubble, NW corner of Gilbert Hwy. and Reed Rd., Cambridge Township. 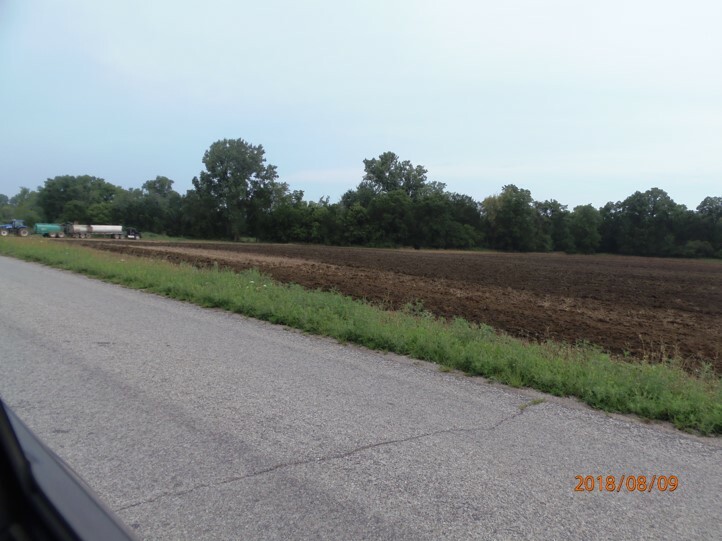 This is their third application on this field (July 16 and 17, liquid manure sprayed by tanker; July 26 slurry application from dump semi; Aug. 8 and 9 application, liquid again – see photos in previous stench alerts). The tree line at the back of the photo is Wolf Creek, the source of the City of Adrian’s drinking water reservoir, Lake Adrian. Tell us, please – what is the proper agronomic rate for repeated heavy manure applications within one month on “no crop”? Can’t find it in the Tri State Fertilizer Recommendations, can’t find it in the comprehensive nutrient management plan. Then there’s the mess left behind. 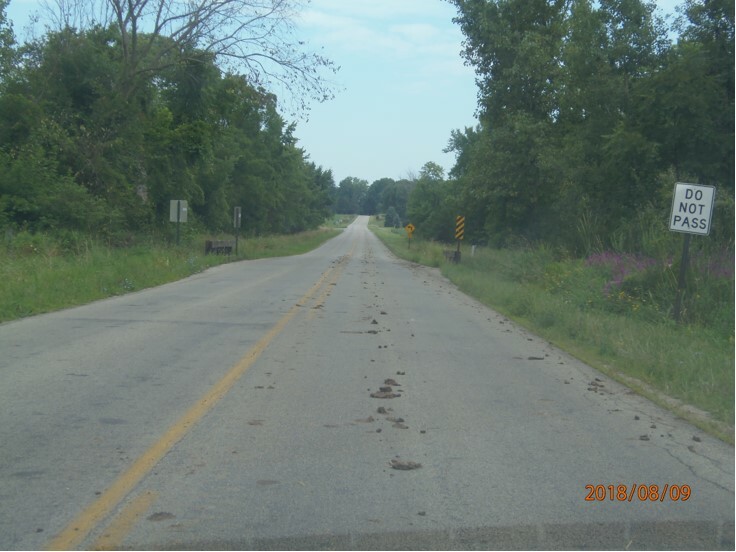 If you drive on our rural roads, make sure to wash your car afterwards because the stink on the undercarriage and tires lasts for a long time. Bridge on Gilbert Hwy., over Wolf Creek. NW corner of Gilbert Hwy. and Reed Rd., Cambridge Twp., next to the field shown above.